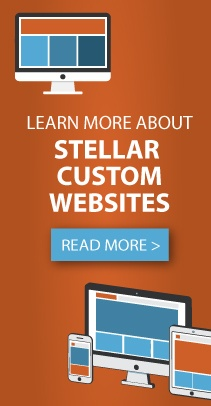 Stellar Blue Technologies, a Fox Valley, Wis. based digital marketing firm, launched a new custom website for Dynamic Fan Corporation. Based out of Phillips, Wis., Dynamic Fan is a manufacturer of industrial fan parts. This website is a first for Dynamic Fan after more than 30 years of operating. Upon review of several other website firms, Dynamic Fan chose Stellar Blue to move forward with its first website. This is Stellar Blue’s first project completed for the company. When visitors come to the website, they encounter a simple, sleek design with vibrant colors that highlight Dynamic Fan’s products. The navigation bar and the slide-out menu at the top of the home page gives visitors the options they need to move seamlessly through the site. Users find it easy to request a quote and submit any questions or concerns when navigating the home page. Images of industrial fan parts are featured, so visitors have a clear visual of the offered products. As the user nears the bottom of the home page, they also find contact information. The custom website is fully equipped with WordPress integration that gives users the ability to easily and quickly update the site on their own. Also featured is a contact form and product displays. This site is built with a responsive design, allowing visitors to effectively view and use the website from a variety of devices.